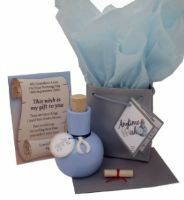 Is just an example of how we can personalise this special gift for those special people in your life. Whether it's for your bridemaids, Maid of Honour, Page Boy or Father of the Bride. You can choose their favourite colour or even one to match your wedding colours.